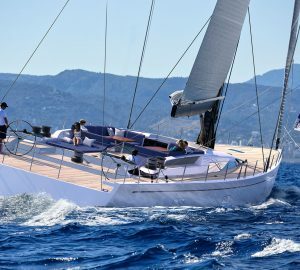 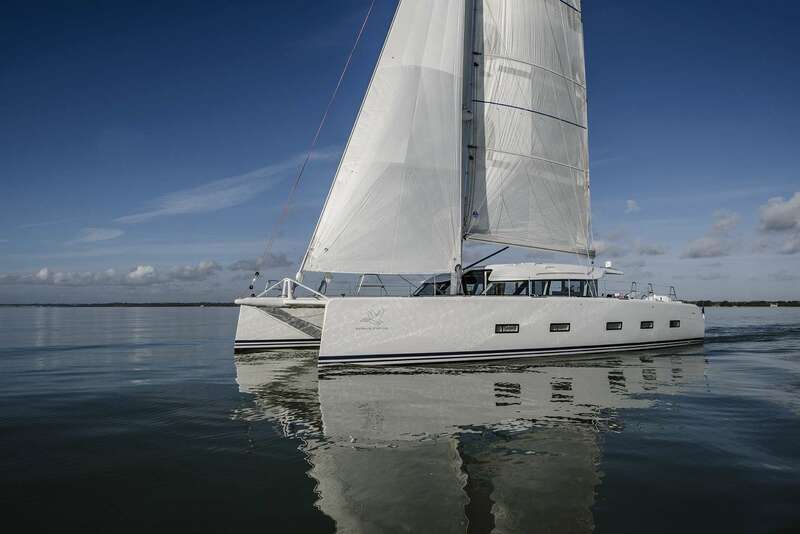 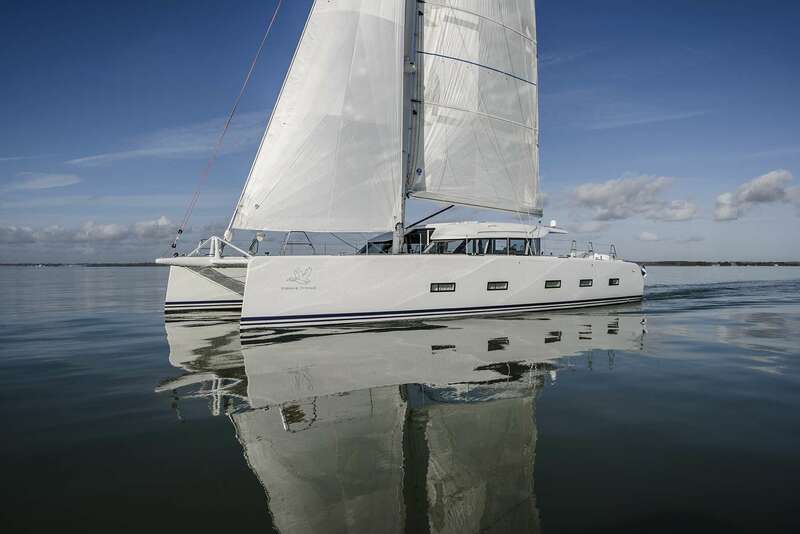 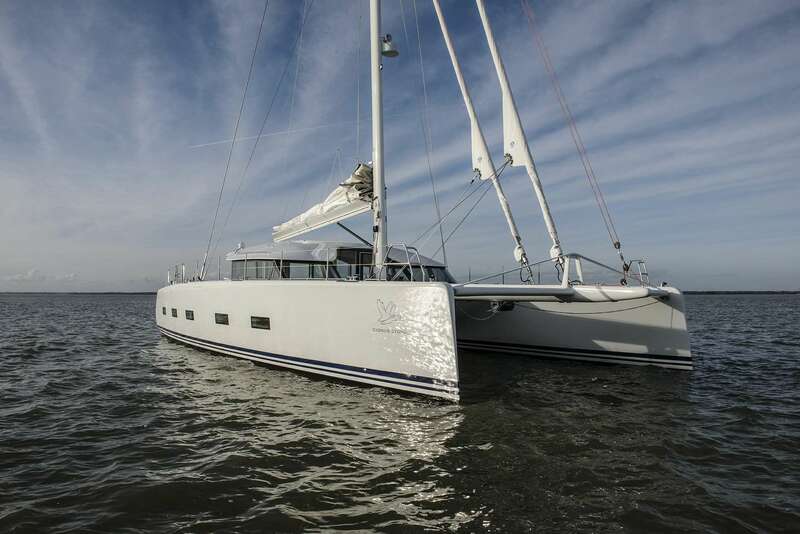 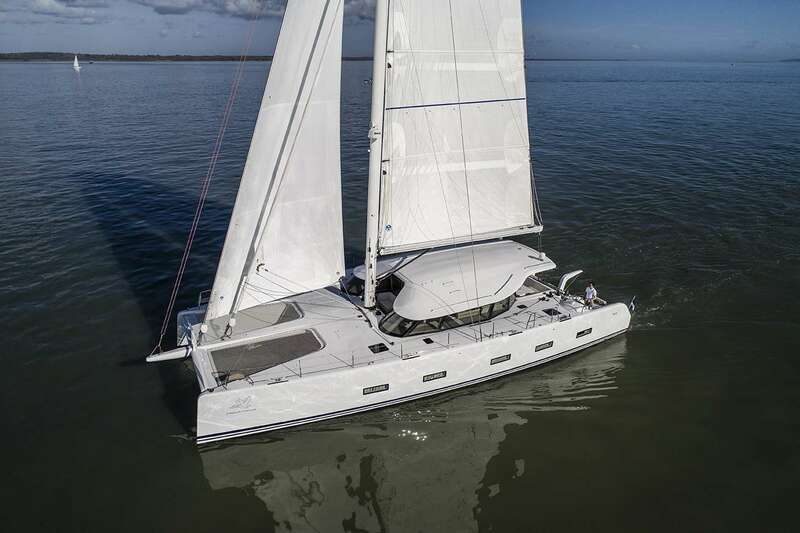 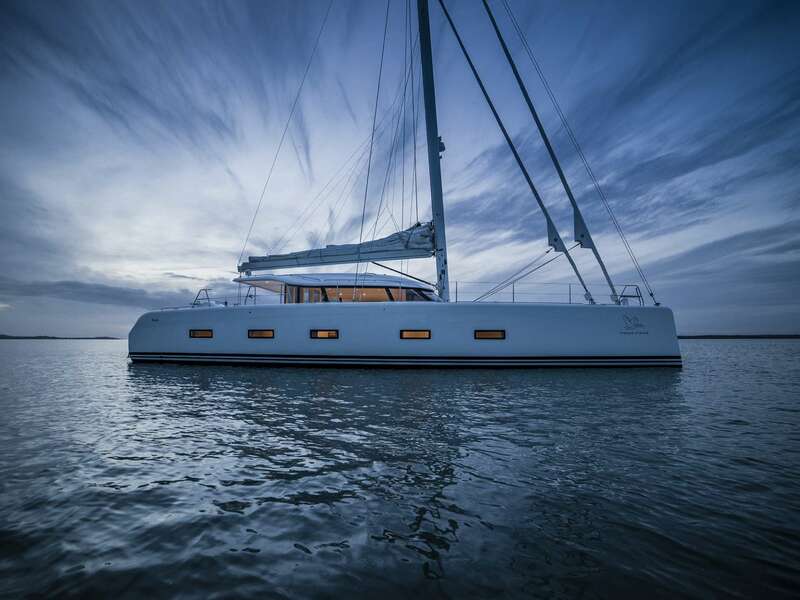 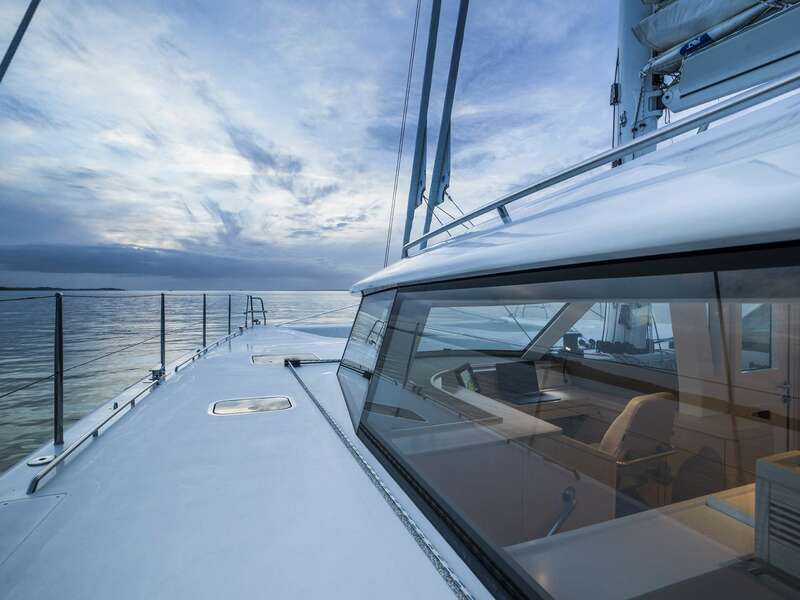 The 18.5m/61ft luxury charter catamaran CYGNUS CYGNUS was built by Ocean Quality Systems in 2017 and features a lightweight GRP hull and superstructure and the naval architecture of German Frers. 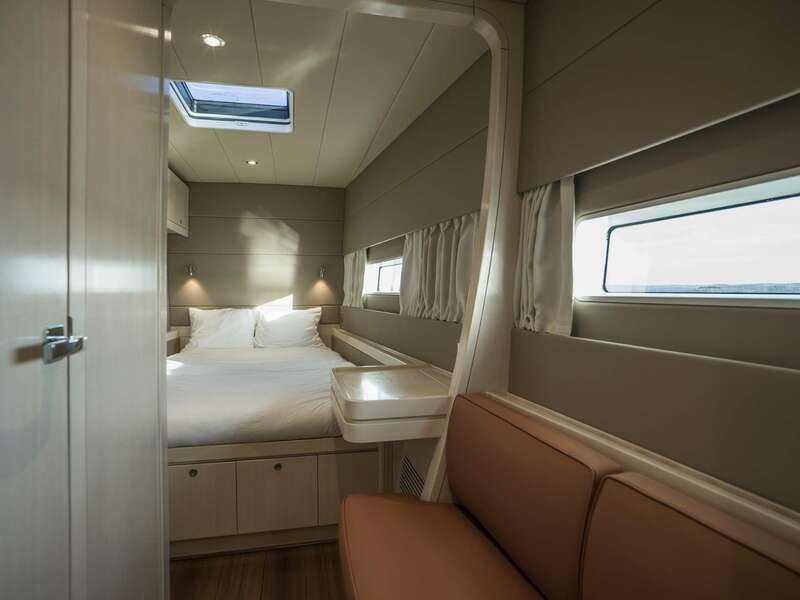 The exteriors and interiors offer a pale and bright colour scheme that continues through to the guest accommodation, which sleeps up to eight guests over four cabins. 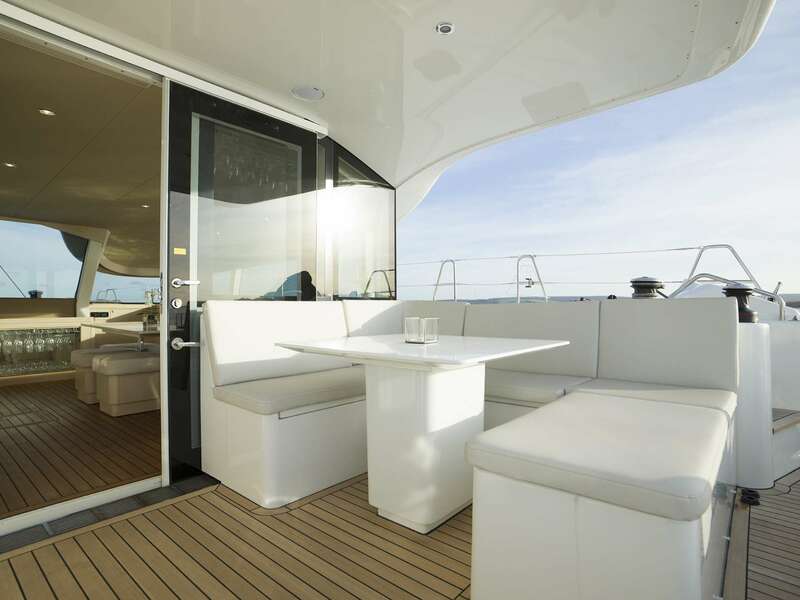 The aft cockpit is a shaded space where guests can rest in the cosy C-shaped seats located on both the port and starboard sides. 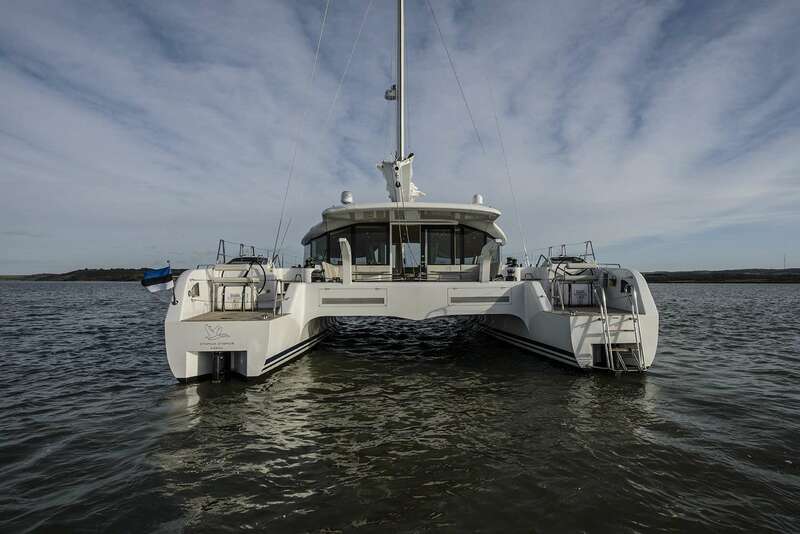 The drinks tables can also be used for casual alfresco dining and on the stern a swim ladder provides easy access into and out of the water. 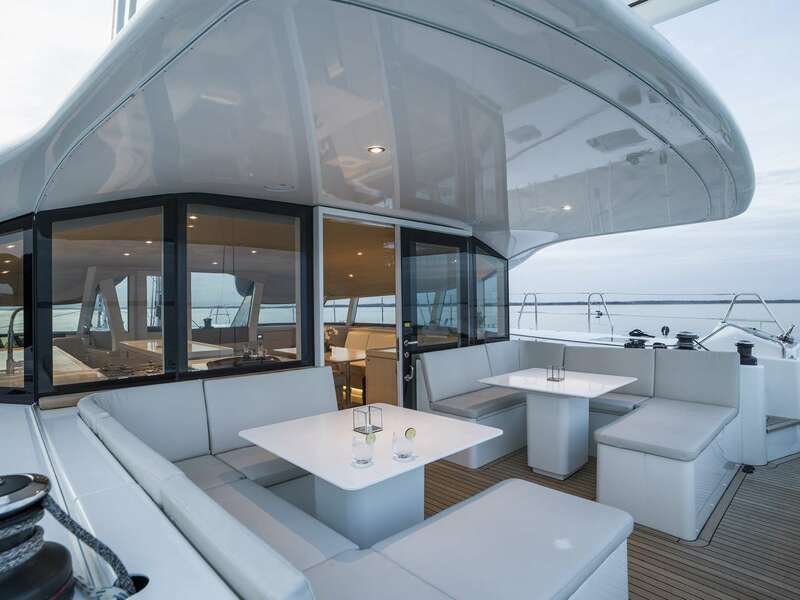 The main deck forward is an ideal sunbathing area with two forward trampolines. 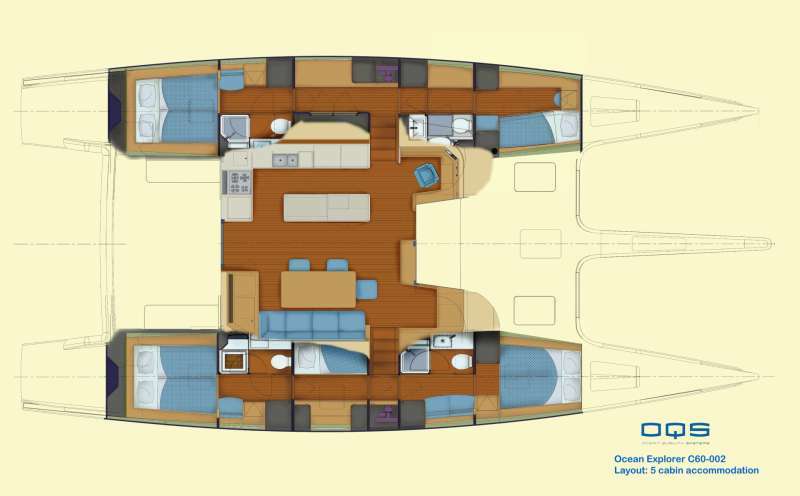 The main salon contains a port side helm station with the galley behind. 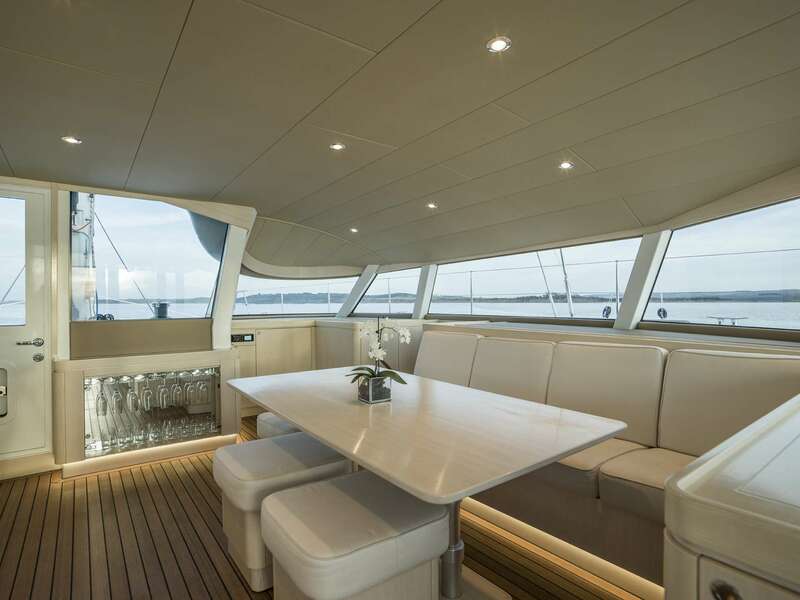 A comfortable sofa is integrated into the starboard side wall and the raised table and additional chairs form the indoor dining area. 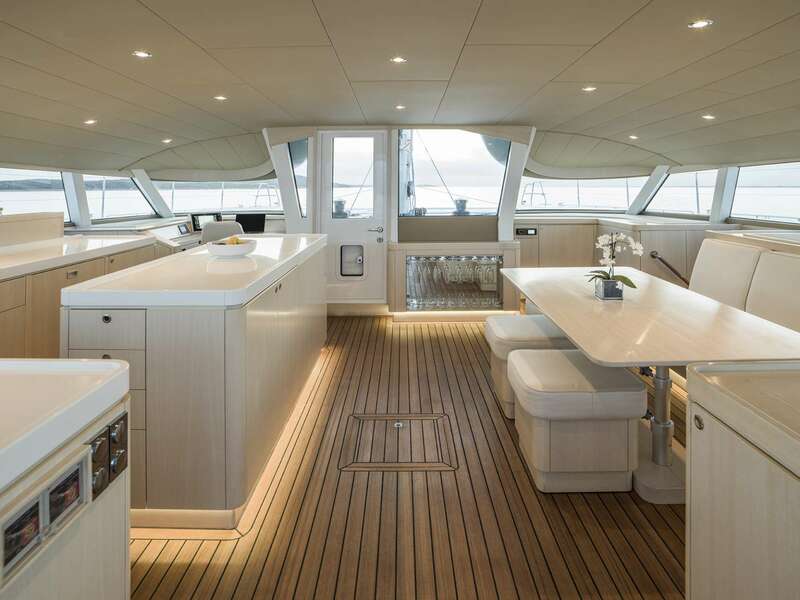 Staircases lead off either side to the guest and crew accommodation in the hulls, which are raised above the water for greater illumination from side windows as well as skylights. 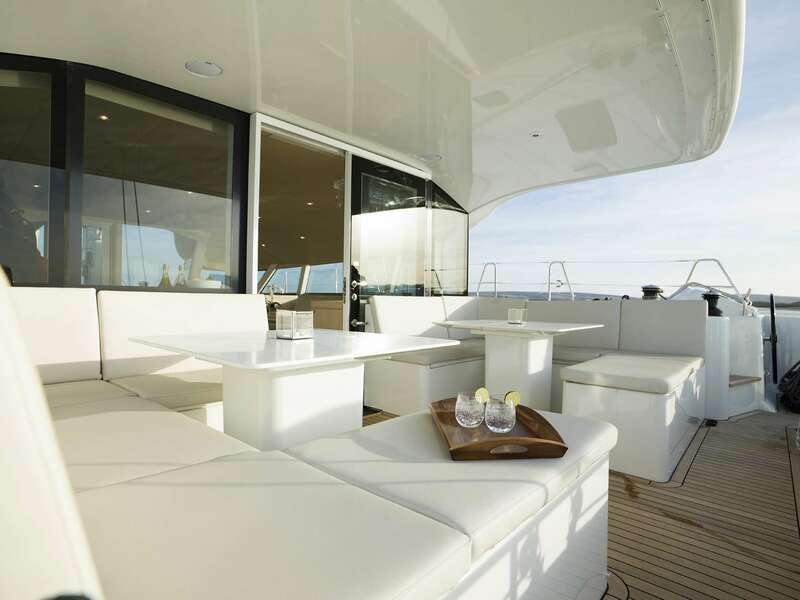 2 x 80hm Yanmar diesel generators provide a cruising speed of 10 knots and a top speed of 20 knots. 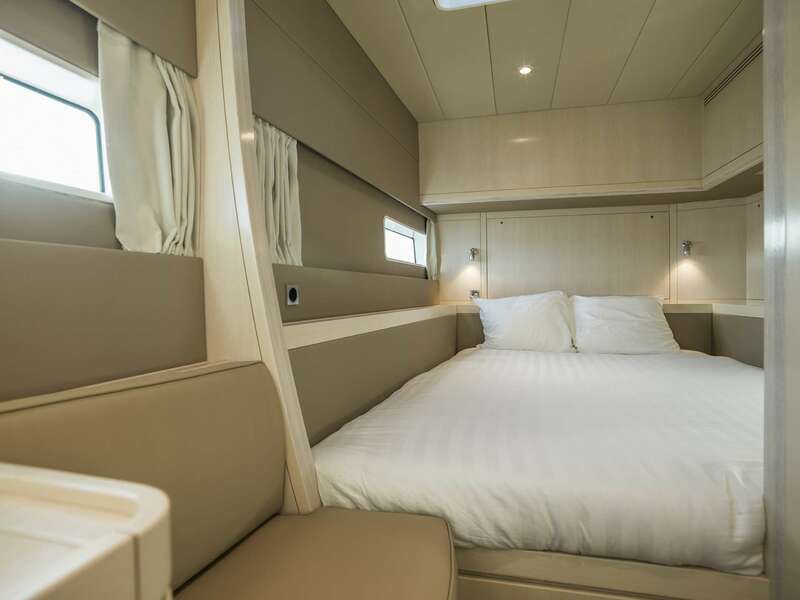 The accommodation sleeps a maximum of 8 charter guests over 4 en-suite cabins: 1 Master suite, 3 double cabins and 1 bunk cabin suitable for children. 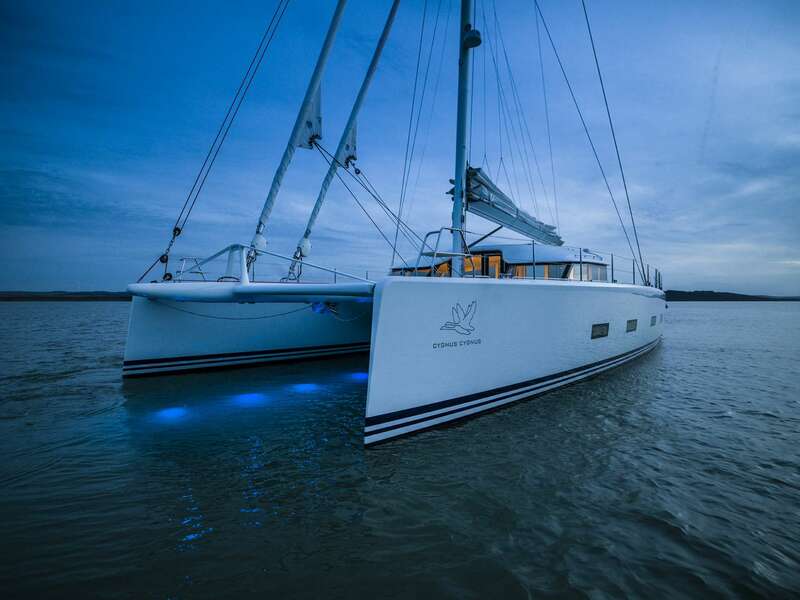 The crew of 2 will provide guests with everything they require for a fantastic sailing experience.